In brief: Sony's new 135mm f/1.8 is the company's 31st native full-frame FE lens and 49th overall E-mount lens. With it, Sony provides photographers with an even larger selection to meet their demanding needs. Sony on Tuesday welcomed a new member to its G Master series of full-frame E-mount interchangeable lenses. The 135mm f/1.8 full-frame, large-aperture telephoto prime lens (model SEL135F18GM) features 13 glass elements in 10 groups. It utilizes an 11-bladed circular aperture mechanism to help produce more natural looking bokeh with a minimum focus distance of just 2.3 feet. Other noteworthy features include an aperture ring, a manual focus ring, a focus range limiter switch and two customizable focus hold buttons. All of this is packed into a body that’s just five inches long and tips the scales at 33.6 ounces. Given its compact size and popular focal length, the 135mm f/1.8 will be especially useful to professional portrait photographers, wedding photographers, sports shooters and other enthusiasts. 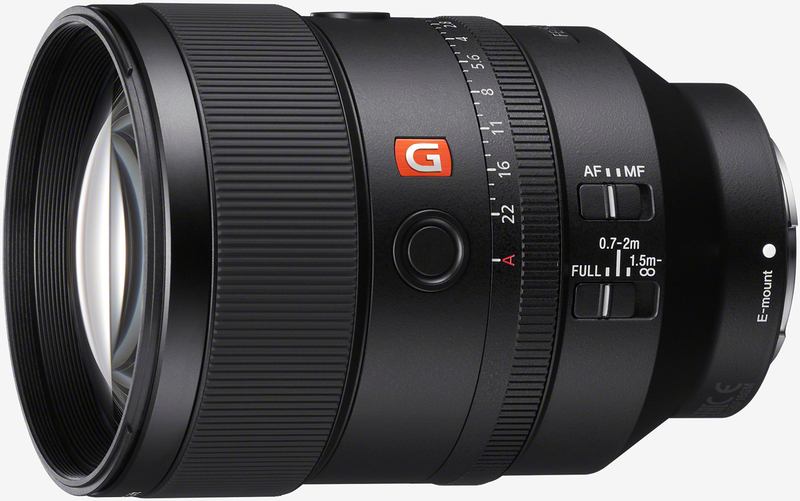 Sony’s 135mm f/1.8 G Master lens will ship in late April priced at approximately $1,900. Pre-orders open on Thursday over at B&H Photo should you want to go ahead and secure yours. Sony also has a series of new polarizer filters launching in May in sizes ranging from 49mm to 82mm that are said to preserve image quality and resolution about twice as effectively as its existing circular PL filter lineup. Should you want one for your new lens, be prepared to shell out an additional $230.